The Annapurna region provides you with unparalleled access to spectacular horizons of snowy peaks, so amazingly high that you can’t believe your eyes. 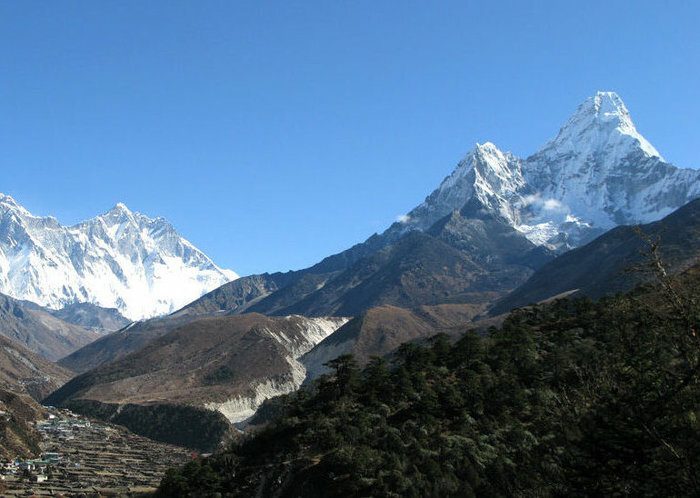 This trek is one of the most popular in Nepal and for good reason. 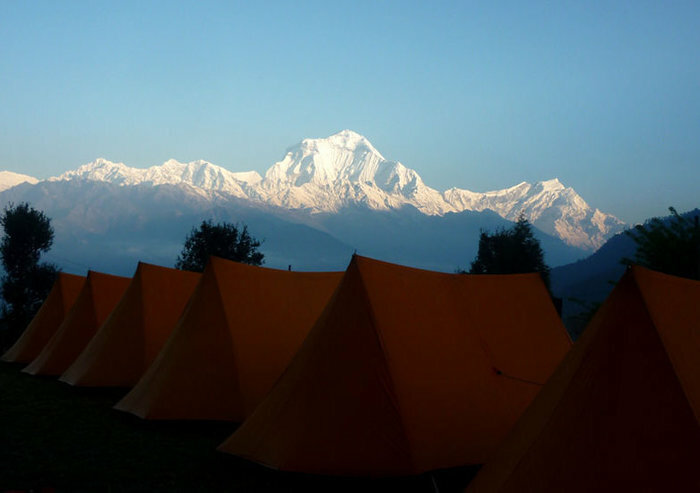 Annapurna Basecamp is surrounded by a cirque of awe-inspiring peaks, including the awesome south face of Annapurna, in a natural amphitheater. Besides providing the views for which the trek is famous, the trail takes you through an ever-changing landscape of rice fields, misty forests and tiny local villages. The challenging trails will reward you with a breathtaking combination of towering peaks and dramatic valleys. 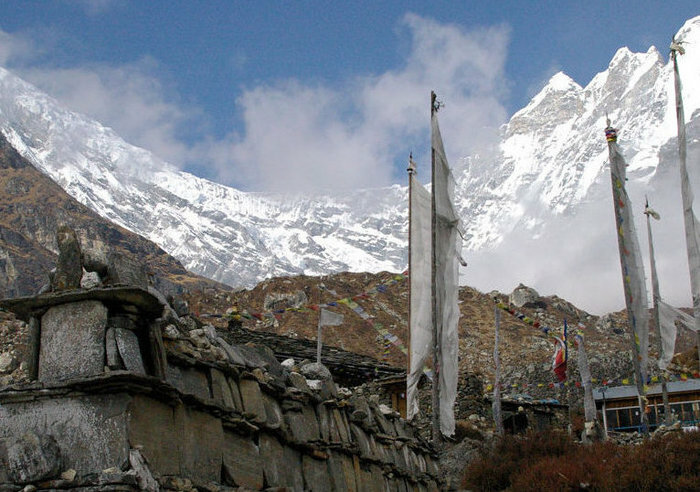 On your spectacular journey you will reach the base camp of the world’s 10th highest mount, Annapurna (8091 m). 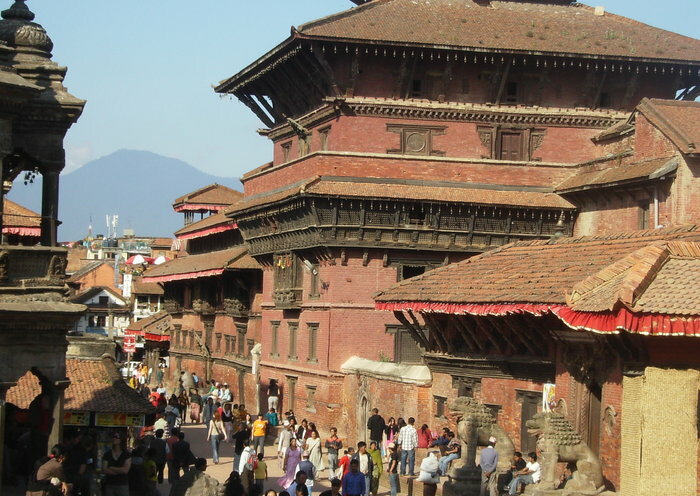 ♦ Kathmandu - spend time in the City of Temples. Meeting at the airport and transfer to the hotel. Overnight in Kathmandu. Leaving the Kathmandu valley behind, we head for the enchanting Nepalese town of Pokhara (approx. 6-7 hours drive). 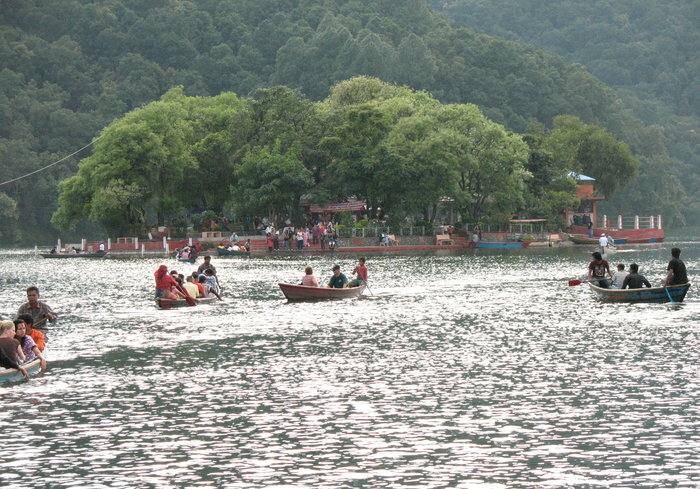 Pokhara enjoys a delightful setting on a lake beneath the snow-capped peaks of the Annapurna range, making it an excellent place to relax and contemplate what lies ahead. Depending on our arrival time, there may be time to hire a small boat for a quick paddle on the lake for sunset. Overnight in Pokhara. We leave Pokhara early in the morning to Phedi. From Phedi we take a path steeply up the hill to our right towards Dampus. Walking along this ridge gives fantastic views of Annapurnas, Manaslu. If we go to Birethati, we turn right after crossing the river (Modi) and aim to reach Ghandruk on a steep hill trial (915 m – 1940 m). Today, we go up for an hour from Ghandruk to Ghandrukkot and after that descend perpendicularly to the Kimron Khola. We have an easy walk for an hour before the path to Chhomrong. While ascending, we walk upon the striking peak of Annapurna South over the community and the sight of Fishtail Mountain will captivate us. 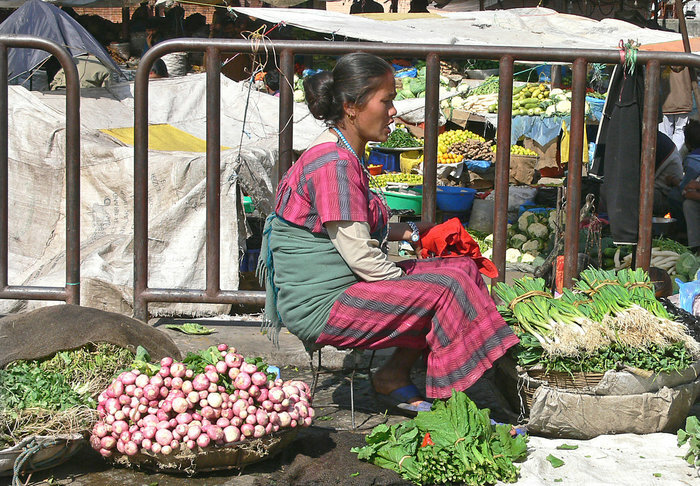 Chhomrong is a striking village embraced by the giant Annapurna massive. Overnight in Chhomrong at a guesthouse. 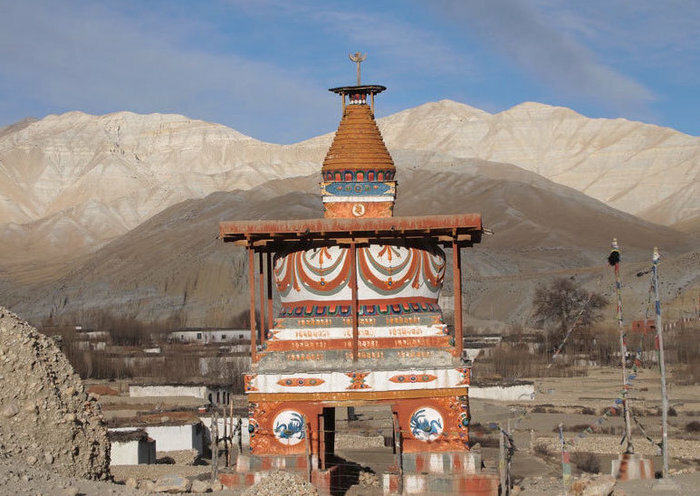 From Chhomrung we cross the bridge and ascend to Sinuwa Danda. The path comes across thick rhododendron forest leading to Khuldighar. After that, we descend a lengthy and vertical stone steps into bamboo and rhododendron jungles through which we arrive at Doban. Overnight at a guesthouse. We gradually ascend following the track above the river through a thick bamboo, rhododendron and oak forests up the side of the canyon. We pass by Himalaya Hotel and cross two streams over small bridges. 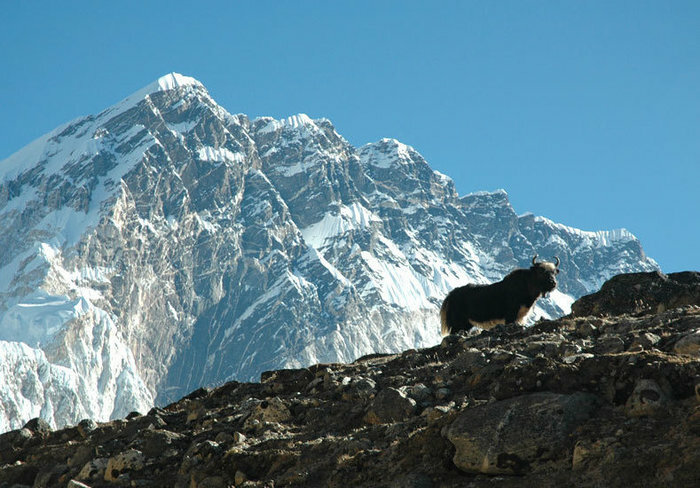 Here we have the opportunity of seeing a range of animal species like wild pig, snow leopard and deer. We ascend to Hinko Cave before arriving at Deurali. Overnight at a guesthouse. We begin from Machhapuchhre Base Camp and we do a moderate climb through a river above the mountain side. 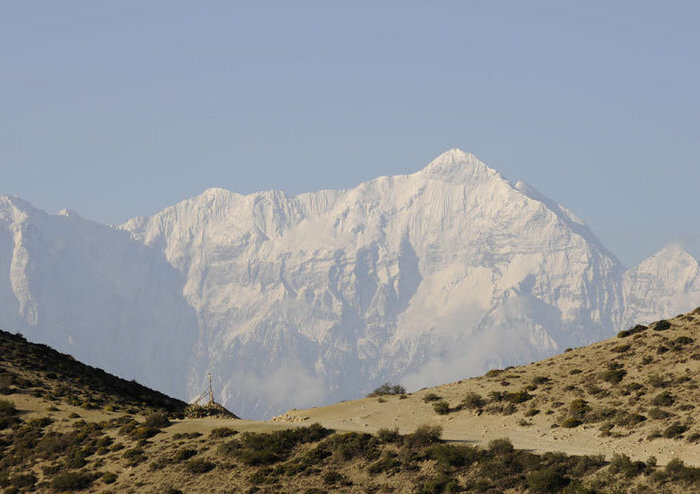 Walking from Deurali, we reach a point where we are encircled by huge snow-covered peaks. Walking ahead to Machhapuchhre Base Camp we reach a place where the views of Mt. 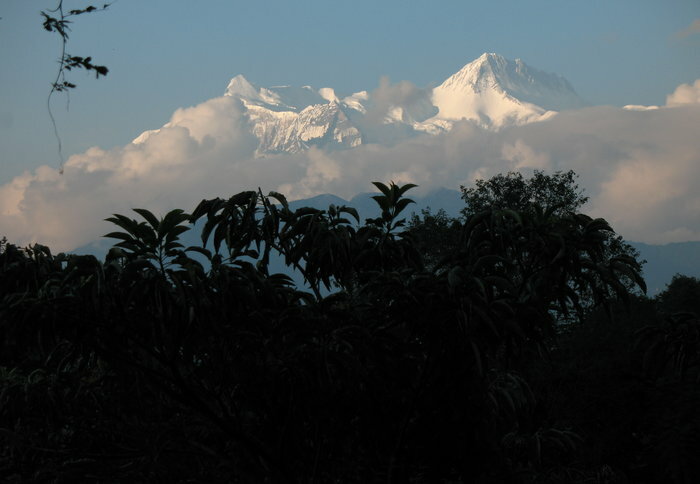 Annapurna South, Annapurna I, Himchuli, Annapurna III and, definitely, the Machhapuchhre itself enthralls us. Overnight in Machhapuchhre Base Camp at a guesthouse. From Machhapuchhre base camp, we proceed to Annapurna base camp. 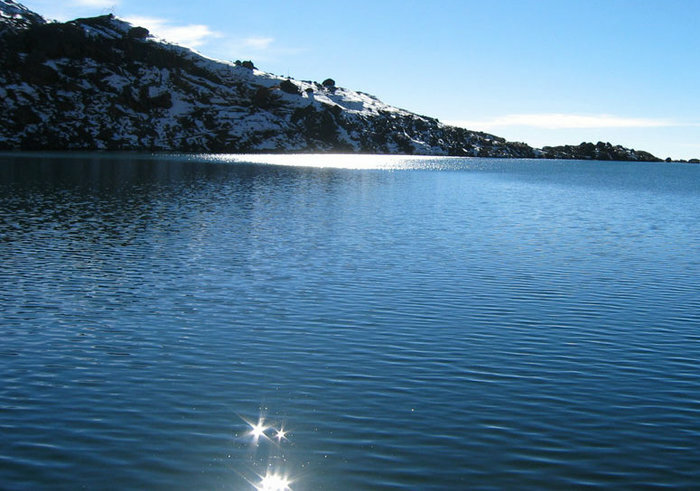 The area is encircled by the peaks and is recognized as Annapurna Sanctuary. This place gives us an impressive view to huge peaks including Annapurna I, Barah Shikhar, Annapurna South and many other giant peaks. We trek back to Bamboo today. 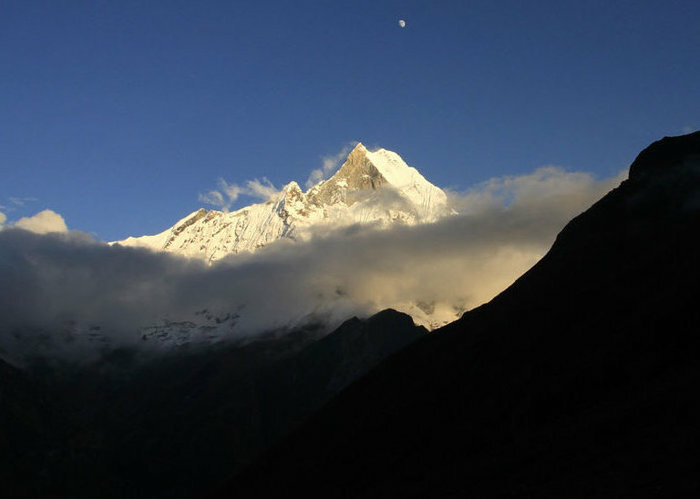 We walk further early in the morning and enjoy the splendid sunrise over the peaks from Annapurna Base Camp. Then we descend from Annapurna Base Camp via Deurali, Dovan and eventually reach Bamboo. We steadily walk down to reach the valley where we stay in Bamboo at a guesthouse. Departing from Bamboo, we have a vertical ascent up to the Kuldi Ghar and Sinuwa, following the stone steps that take us to Lower Chhomrong. After that, we ascend on the stony steps that lead us to Upper Chhomrong. From Chhomrong, we walk down to Jhinu Danda. Here, we take bath in a natural warm water spring. Overnight at a guesthouse in Jhinu Dada. We start our trek after breakfast to Pothana. We go up and down all the way through rivers, bridges, streams, springs and local villages. Passing Landruk and Tolka, which are famous tourist destinations, we reach Potana. Similar view of the mountains can be witnessed from here too. Overnight in Pothana. Today is the last day of our trekking and we start our trek down to Dhampus on the way to Phedi. After walking around 2 hours down hill, we reach the bus station from where we drive to Pokhara. Continue by private car to Kathmandu (6-7 hrs). Overnight in Kathmandu. Recommended period for travel: While trekking is possible the whole year round, the best times to visit are from from beginning of April to end of June and from the beginning of September to mid November. Supplement for 2-3 people travelling together: 55 EUR per person.